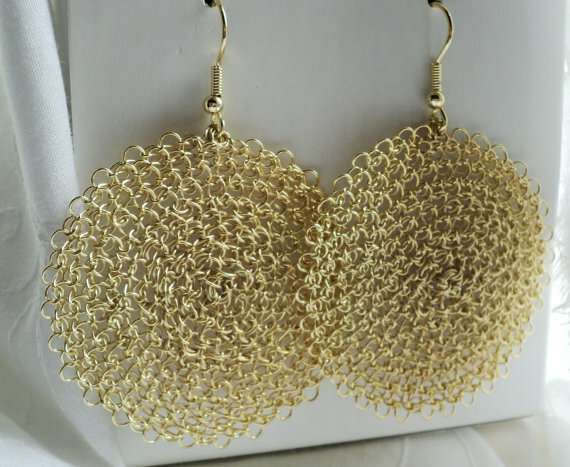 Adriana Laura Mendez is a whiz at wire crochet jewelry. I featured this Argentinian some years ago. Back then her collection was known as Zircon Jewels. 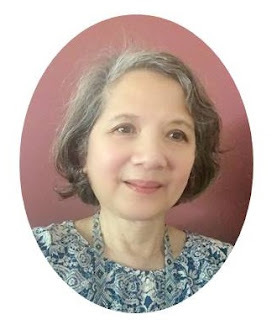 Her work wowed many readers and continues to be outstanding. Her new collection is now on Etsy. 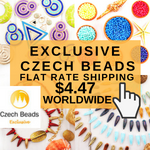 She calls her store Timeless Wearable Art which suits her exquisite and meticulously made wire crochet jewelry. She describes her crochet style as unconventional weaving, where the "jewels and sculptures are created on a spiral curl-styled woven base." The technique produces results that are certainly different from others I have seen. 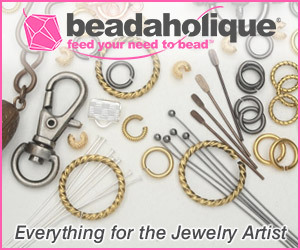 Adriana works in precious metal wire - either sterling silver or 14K gold filled wire. 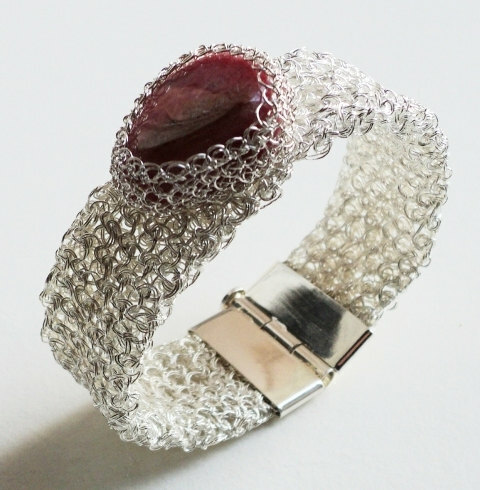 Adriana makes a range of jewelry types but she clearly enjoys making bracelets and cuffs. 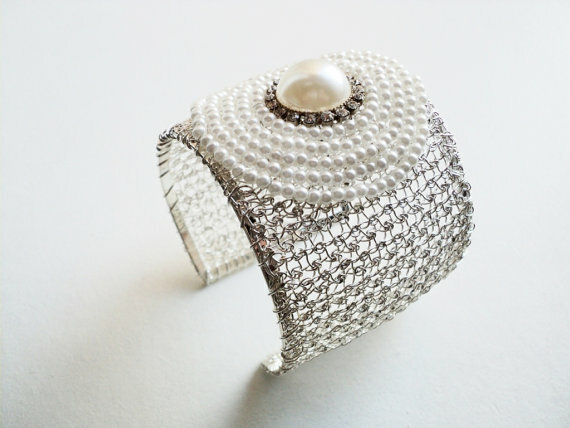 One of my favorites from her store is this cuff embellished with pearls and Swarovski crystals. Regardless of type, all her beautiful wire work pieces are unique and timeless. To enter, please make a comment below. 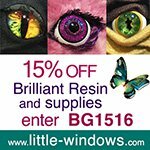 Make sure you leave contact info if you do not have an online shop or blog. Subscribers need to click on the post title to come to my actual blog. Scroll down and enter your comment. Pick Name/URL. If you don't have a store or blog, leave the URL blank. Please leave an email at the very least so I can contact you easily if you win. It ends in a week's time at 6 pm EST Monday, December 3 , 2012. I will pick the winner randomly and announce the results as soon as possible after. So be sure to leave a contact email if you don't have an online link or make sure you come back and check! Otherwise I will redraw in a week. Good luck! I absolutely lust after the gold earrings and would adore the others. Beautiful work. These works are fantastic! I would love to win... This gives me inspiration to try wire crochet! Stunning and unique. I've never seen wire crochet done so elegantly. Would love to own some of her art. I love these pieces! I follow your blog. Awesome work-first time I'm seeing Adrian's work-truly beautiful. I'd love to win any of the earrings being offered but am partial to the silver ones. I follow your blog. Thanks. Each piece is Exquisitely and intricately worked . Such delicate filigree work is a sight to behold . Pearl, you have the best giveaways! What stunning work Adrian does! I would be so thrilled to win a pair of her earrings. This is the first time I've seen this artist's work but I'm sure it won't be the last!!! The wire work is INCREDIBLE and I am in AWE of this artist and her work. I do follow your blog, facebook and on twitter and what a wonderful treat it would be to win this!!! What an incredible artist!!! This jewelry should be seen by anyone looking for the definition of EXQUISITE! !I follow your blog, Facebook and twitter, thanks for this opportunity Pearl...as usual YOU ROC/<!!! holy lord... those are beautiful pieces... 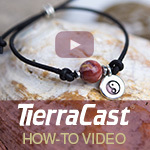 I crochet and wire crochet but never thought it was possible to do something like this... I would be honored to win something this beautiful... Love her creativity and skill, the details she does are out of this world. I follow on blog and facebook. Wow! Now these are a beautiful and far cry from crocheted granny squares! Who wouldn't want to wear any of these forever! Absolutely stunning and delicate! I'm a new fan!! WOW these are wonderful, I love them all. what fabulous work. These are exquisite. Just beautiful. What awesome talent. I love the look of her designs. I might have to give this technique a try. Beautiful work would love to win. I follow on your blog. It is real dainty and beautiful. I would love to have them. Beautiful and delicate work. Timeless. I follow your blog and daily emails. Artist & have yet attempted to crochet with wire. Would love to win this. Such beautiful jewelry! I really like the healing bracelets. I would love the silver with the blue stone earrings. Adrian's jewelry is so beautiful. light and lacy appearing. I have seldom seen such beautiful and inspiring work! 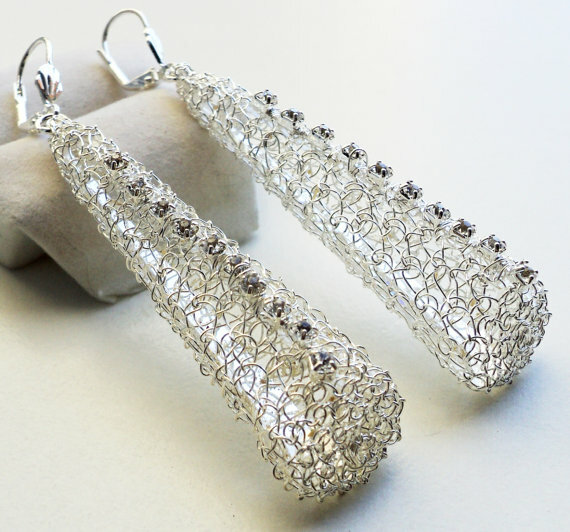 It would be an honor to have a pair of these gorgeous earrings! Wow, her designs are stunning! The earrings would make a beautiful gift for my son's finance'. These are beyond awesome! 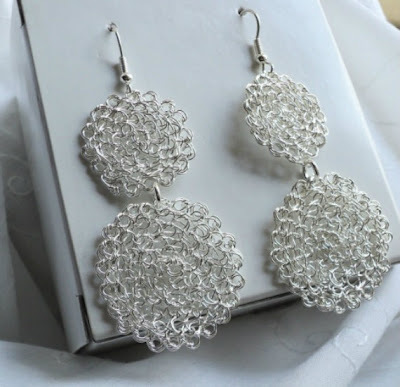 I want to learn crochet now and start with wire. Love the earrings with the blue stones and the gold ones and all the bracelets and .................all of it. I am a blog follower and look forward to every post! I have learned much from your blog and continue to. Thank you for the offer of this giveaway! Gorgeous earrings and bracelets! Thanks for the chance!! I admire anyone who can crochet so beautifully. Just beautiful work - I appreciate the chance to be in the draw. Really beautiful work! Very elegant. Love them all. Very beautiful work! Love them all. I loved the lovely wire crochet jewelry and would be estatic if I owned such a beautiful masterpiece. What lovely treasure of craftsmanship Adrian Laura`s jewelry is! Would love to add it to my treasure box! Wow! That's beautiful. I would love to be the winner of the jewellery. I don't know if I like the gold or the silver more. Both are stunning. Her work is gorgeous! I follow, twitter, share. All of it! These all look really great! 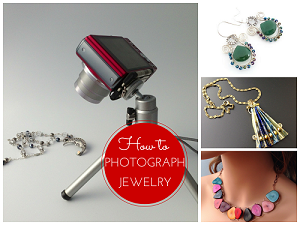 It would be a true treat if I was chosen to win a piece of such extraordinary jewelry. I can only imagine the kinds of detail and creativity that goes into wire crocheting. The results are absolutely beautiful and nothing like what you find in a department store. They are truly unique creations with metal. 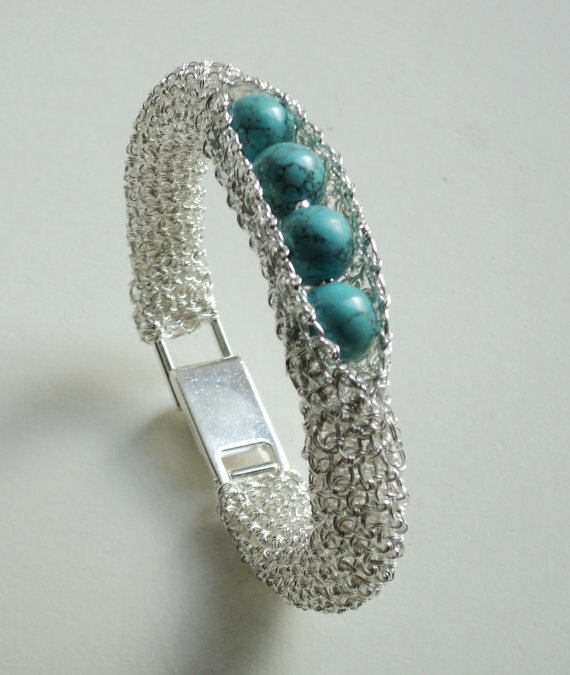 This jewellery is superb I have not tried wire crochet yet but would love to be able to achieve something as lovely as these items especially the silver and turquoise bead bracelet. LOVE the gold filled earrings! 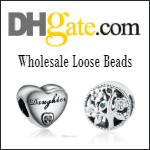 What a great jewelry line! WoW!!! I am such a fan, love your intriguing and beautiful work!!! God Bless and Thank you for such a wonderful Giveaway!!! Those earrings are so lovely! Hard to crochet wire without it looking messy. Amazing design, love it so much,very fantastic and elegant. this is great ! love it !